The Teachers Printables Collection includes all of the teachers printables from this site, in both PDF and DOC formats — 1,401 documents in all. If you want to fill a form in by hand, open the PDF version in Adobe Acrobat Reader and print it out. If you want to complete the form on your computer, or customize it to your specifications, open the DOC version in Microsoft Word or Google Docs, make your edits, and then print your completed form. 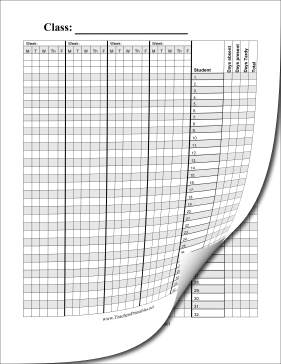 In addition, the collection includes more than a dozen bonus printables that you won't find on this site, including graph paper, penmanship paper, note-taking paper, calendars, and more. You can pay using your PayPal account or credit card. You'll be able to download the Teachers Printables Collection within moments.